On June 18, 2014, Murray Energy Corporation, an Ohio-based coal mining company, filed a novel lawsuit in the D.C. Circuit Court of Appeals seeking to overturn EPA’s proposed Clean Power Plan. When asked for a reaction, an environmental lobbyist at the Natural Resources Defense Council called the lawsuit “laughable,” and predicted that the court would dismiss the case summarily. However, on September 18, a three-judge panel, acting on its own motion, ordered EPA to file a brief in response to the suit. So, contrary to what the green lobby predicted, the case will indeed proceed. 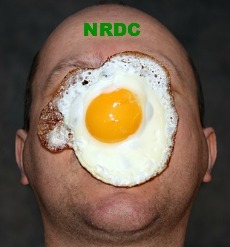 Presumably, no one at the NRDC is laughing now. To be sure, under the Clean Air Act’s provision for judicial review (42 U.S.C. §7607(b)(1), which, in turn, is modeled on a provision of the Administrative Procedures Act), an EPA regulation cannot be challenged until it is final. The Clean Power Plan, by contrast, is only at the proposed stage of the legislative rulemaking process. This is the primary reason why the NRDC lobbyist labeled the suit “laughable”—because it is a bedrock principle of administrative law that an agency action can’t be challenged until it is final, and the Clean Power Plan isn’t final. Yet Murray Energy didn’t base its claim on the Clean Air Act, nor on the Administrative Procedures Act. Instead, the petitioners cleverly founded their challenge on the 1789 All Writs Act, a broad and historic statute that grants Article III Courts the authority to issue “necessary and appropriate” injunctions where “gaps” in a statutory scheme pervert the ends of justice. U.S. v. Valdez-Pacheco, 237 F. 3d 1077 (9th Cir. 2001) at 1080; U.S. v. New York Telephone Co., 434 U.S. 159 (1977) at 173. In this instance, the “gap” in the Clean Air Act’s regulatory regime is, in part, engendered by a mismatch between the Clean Power Plan’s deadlines and time horizons for utility planning. Electricity provision is an intricate, capital-intensive business, so utilities must plan out five to twenty years in advance. And EPA’s Clean Power Plan will necessitate such planning, because the regulation would fundamentally overhaul the electric industry (as I explain in this paper, EPA’s Illegitimate Climate Rule). However, the rule gives States only one year to submit compliance plans. The upshot is that States and utilities already have to start making decisions regarding the Clean Power Plan, even though the regulation is only at the proposal stage. Were that all, it’s doubtful that the Clean Power Plan would represent the casus omissus—the extraordinary, unprovided-for case that warrants an All Writs Act injunction. Yet Murray Energy (and also 12 States in an excellent amicus brief) persuasively argues that EPA doesn’t have the authority to promulgate the Clean Power Plan to begin with. I’ve summarized this argument elsewhere in detail. (Notably, NRDC pioneered this line of legal reasoning that today threatens the rule. So the same special interest that wrote the “blueprint” for the Clean Power Plan is responsible for the argument that could sink the rule. Now that’s “laughable”). Article III Courts rarely issue All Writs Act injunctions, and there’s no case history pertaining to the statute’s application to final agency deadlines. As such, there aren’t really any guideposts. The D.C. Circuit afforded EPA an extended period to file a response to Murray Energy’s petition, which is due on November 17. The All Writs Act leaves it to the courts to formulate equitable procedures, so the three judge circuit court panel could reach a ruling after considering both briefs, or it could hold oral argument and require a reply brief (to EPA’s response) from Murray Energy. It’s anyone’s guess how this case will play out. The only thing we know for sure is that NRDC was wrong to blithely dismiss it. Previous post: Which Is the Bigger Threat to People in Developing Countries: Climate Change or Energy Poverty?